When paired with sophisticated faux leather parson chairs, this dining set will give your semi-formal dining room a chic look that you will love. 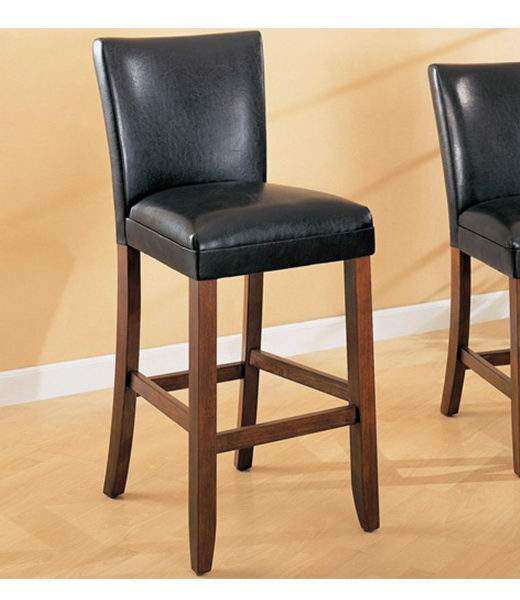 This cool contemporary faux leather bar stool will be a wonderful addition to your casual entertainment and dining room. A plush chair back and seat are covered in rich dark brown or black faux leather to complement your home decor, with warm medium finished square wood legs. 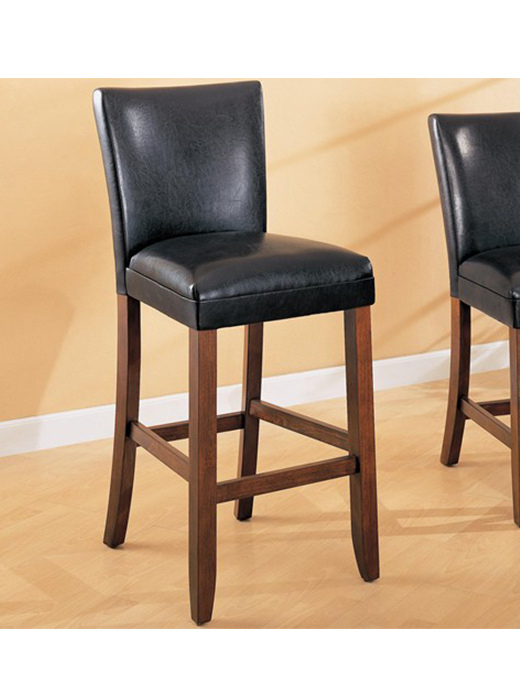 Pull up to your bar for a complete contemporary ensemble in your home.